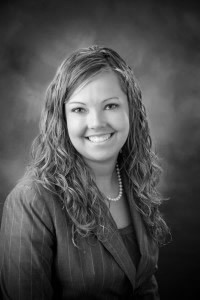 Ashley K. Rasmussen joined Potestivo & Associates in April 2010. Ashley is based in the firm’s Chicago office and serves as a Supervising Attorney in the Litigation Department. Prior to joining the firm, Ashley worked on debtor side bankruptcy for a law firm in Grayling, Michigan. Ashley earned a Bachelor of Science in Business Administration from Central Michigan University, where she majored in General Business and minored in English and Economics. Ashley then went on to earn her Juris Doctorate from Thomas M. Cooley School of Law with a concentration in Litigation. She was also the recipient of the Book Award for The District Court Mediation Pilot Program. She also served as the Student Bar Association secretary and was a member of Law Review. Upon graduation, Ashley volunteered for the Isabella County Trial Courts in Mount Pleasant for four months as a law clerk intern. Ashley remains very active with her sorority, Alpha Sigma Alpha, and is the Beta Theta Chapter Recruitment Advisor.